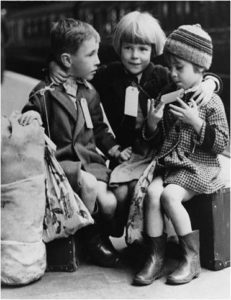 What was it like to be a child evacuee during the War? Through music, pictures, storytelling and theatre, we tell the story of Maggie, her two brothers and the adventure of their evacuation. A poignant, funny and heartwarming tale which explores themes of travel, adventure, of leaving things behind, fitting in and learning new ways, based on genuine letters and diaries of evacuates. 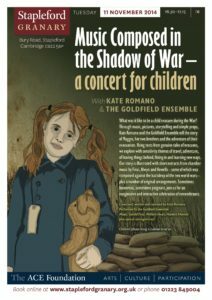 Our story is illustrated with short extracts from chamber music by Finzi, Alwyn and Howells – some of which was composed against the backdrop of two World Wars – and original arrangements.